Between 1939 and 1941, the Soviet Union presented Nazi Germany in its own internal propaganda as a friendly state, ceased to criticize German policies, and began to publish Nazi speeches. People at public rallies occasionally misspoke, praising “Comrade Hitler” or calling for “the triumph of international fascism.” Swastikas began to appear on buildings or even on posters of Soviet leaders. Some of it seemed far-fetched to me. Now, I would completely understand the desire by the Soviet government to present positively the trade and economic cooperation agreements with the state that was deemed previously hostile (given the Nazi destruction of political left and labour movement in the mid-1930s). However, the complete turn-about in propaganda to a full-blown support of Nazi regime did not appear likely. Reckoning it would be easy to find relevant posters, I started to search for swastikas on pre-war Soviet posters, for Soviet pro-Nazi posters, for posters about Soviet-German friendship ca. 1940 etc. and came up largely empty-handed. Even assuming that Soviet leadership ordered destruction of pro-Nazi propaganda after German invasion, it is hard to believe that nothing fell through the cracks. So, the question: are there properly sourced books or peer-reviewed articles on which Snyder based his statements? and began to publish Nazi speeches. Evidently "publish Nazi speeches" is different from just quoting Hitler or any other piece of Nazi propaganda. Definitely Hitler's speeches were not available in their full form to the general public. Maybe they were published in small numbers for internal party reading, which is totally different thing. It seems to be totally invented idea by Snyder. Or possibly it is based on just one mistake by someone, similarly to how one instance of methanol poitioning in the Red Army mentioned by Vasily Grossman in his memoirs made Anthony Beevor to make a claim that "Red Army soldiers who discovered methyl alcohol drank it and shared it with their comrades". This is totally impossible, "fascism" was a heavily loaded slur word since at least 1936. 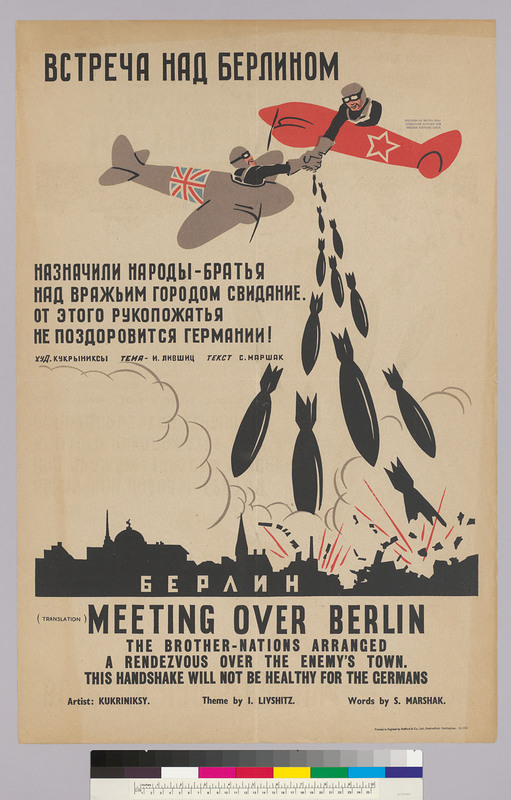 Regarding the poster, it is evidently a fake because the USSR never was at war with Great Britain not to say, bombing London. Even at the hight of the Germany-Soviet relations the official position of the USSR was that they were neutral. 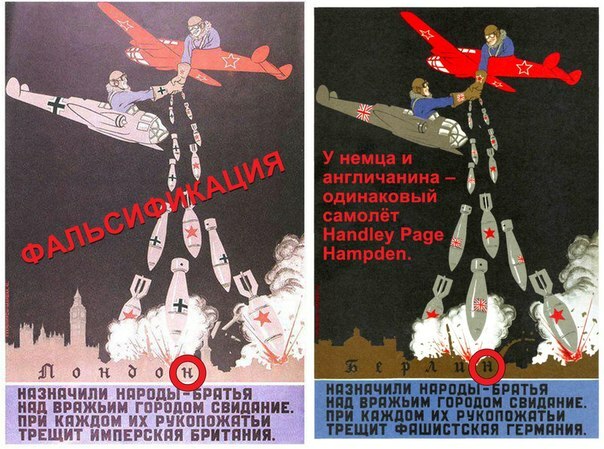 Making such poster would be contrary to the stance of the USSR in foreign policy. The signing of the Molotov-Ribbentrop Pact reversed the tone spectacularly. The word fascist was eliminated and virtually overnight the press adopted a pro-Nazi point of view regarding Europe.... Hitler's speeches were extensively quoted in the Soviet press in 1939-1940, and the commentaries were favorable. Nationalist Propaganda in the Soviet Russian Press, 1939-1941, by Ewa M. Thompson. Slavic Review. Vol. 50, No. 2 (Summer, 1991), pp. 385-399. Not the answer you're looking for? Browse other questions tagged world-war-two nazi-germany soviet-union propaganda or ask your own question. Was the French commander in chief Gamelin such a terrible commander? How did people react to these WWI posters with their 'brutal messages'?